Crane runways are at the foundation of good crane health. Runways are originally installed to be within the tolerances published in CMAA recommendations. These tolerances are in many cases plus or minus 1/8 of an inch in span and within ¼ inch of each other in elevation. 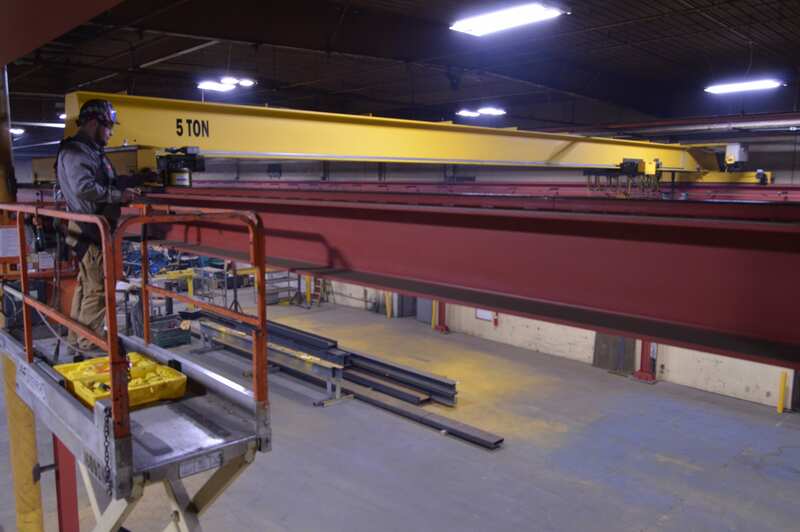 No mater what type of overhead crane system you have in your plant, good runway systems are the key to safety and reduced maintenance. Aging crane runways can become out of span for many reasons but the most common reasons are building settlement, crane overloads, and crane malfunctions. Runway misalignment due to building settlement is common to most buildings containing bridge cranes and monorails. Buildings settle naturally anyway but with the added impact loadings that cranes produce they sometimes settle more quickly. This settlement results in runway elevations and spans becoming out of tolerance. Crane overloads can lead to permanent deflection to bridge support columns and crane runways causing them to be out of tolerance. This out of tolerance condition will tend to worsen over time if left unchecked. 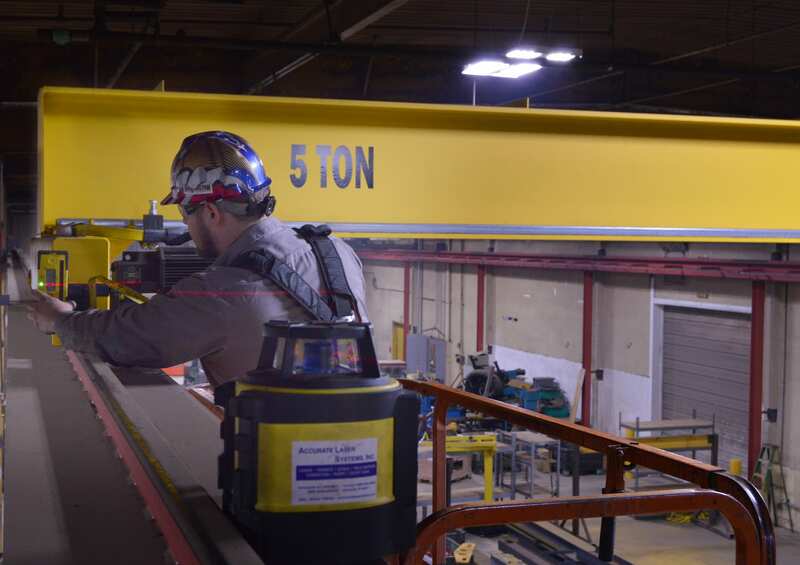 When a component of an overhead bridge crane fails, such as a wheel, wheel bearing, drive shaft or brake, it will often times cause the bridge crane to skew and become out-of-square. This can cause damage to the crane runway by spreading the runways apart and cause the runway steel to yield permanently, hardware to stretch and connection and rail bolts or clips to break. Many crane malfunctions such as broken drive shafts and worn bridge motor brakes can go undetected for a long period of time. These are the types of failures that can lead to catastrophic wear and damage to the structural integrity of the crane and runway. CraneWerks offers a variety of solutions to combat these issues and a number of ways to detect these problems. 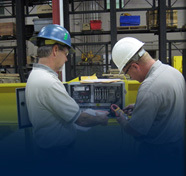 CraneWerks inspection team will develop a course-of-action that will allow you to bring you structures, runways and overhead cranes back into compliance. Out team of professionals perform necessary field measurements and inspections and relay them back to our drafting department for them to produce drawings. These drawings will illustrate the condition of your existing crane runways as well as demonstrating how much if any of the runways is out of allowable tolerance. As part of our reporting a written report with images illustrating non compliance issues will be provided. Bridge girder and end-truck connections can be inspected both visually and by using a non-destructive means of testing these areas. Our Structural Analysis Inspectors are trained to identify cracks in and the yielding of materials in the areas of these connections. During a structural analysis inspections we can also perform a squareness check of the cranes wheels and a laser check to determine that the bridge crane has the proper camber. CraneWerks team of inspection and survey specialists are available to perform surveys at a time that is convenient for you. Please call 888-544-2121 or contact us today for more information and to schedule your appointment.